El Niño, a weather pattern associated with reduced rainfall, has a 70 to 80 percent chance of emerging in the first quarter of the year, the state meteorology bureau said Wednesday. 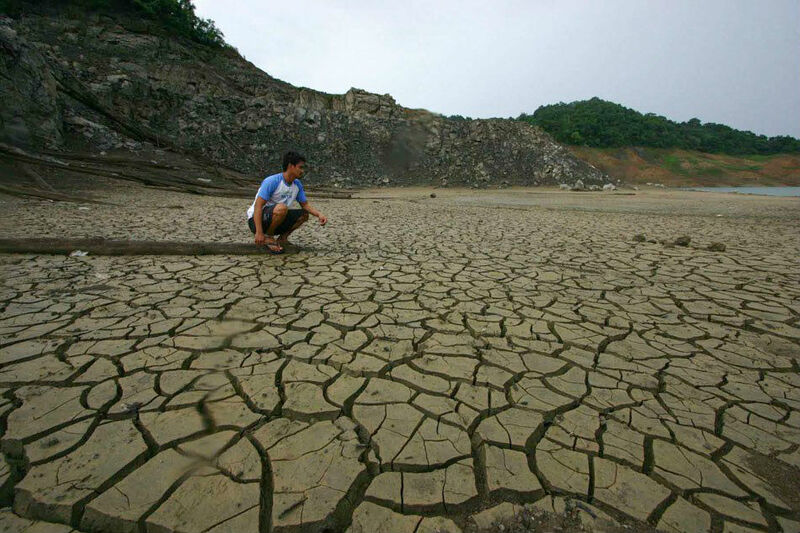 Dry spell and drought, both "precursors" of El Niño, have been observed in several provinces in Luzon and Mindanao from September last year to mid-January 2019, said PAGASA climate monitoring chief Analiza Solis. The weather bureau defines dry spell as 3 consecutive months of 21-60 percent rainfall reduction, while drought is either a dry spell that extends to 5 months, or at least 60 percent rainfall reduction for 3 consecutive months. Zamboanga Del Sur, Zamboanga Sibugay, Bukidnon, Basilan, Maguindanao and Sulu are experiencing a dry spell, while Ilocos Norte, Lanao Del Norte and Lanao Del Sur are coping with a drought, Solis told DZMM. By the end of March, Abra, Bataan, Palawan, Ilocuz Sur, Zambales may also experience drought, she said. El Niño, triggered by periodic warming in the eastern Pacific Ocean, could last for 5 months to 2 years, said Solis. The weather pattern generally results in reduced rainfall, PAGASA said in its website. El Niño also causes tropical cyclones to become erratic, pushing their track northwards and making them stronger, said the weather agency. Visit the ABS-CBN Weather Center for the latest weather updates.